Do you dread the prospect of repairing the sewer? Maybe you’ve heard horror stories, or maybe you’ve lived them yourself. Either way, many homeowners are willing to do quite a bit to avoid repairing their sewers. However, you don’t need to worry. 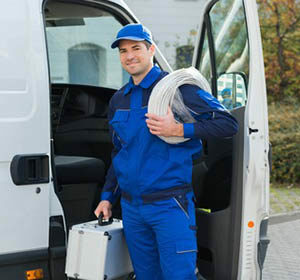 We make sewer repair Greece NY as easy as any other plumbing repair. Let our helpful, skilled plumbers come out, assess your sewer and let you know what it will take to get it fixed. When you call G. T. Campbell, you’re calling the best plumbers in the Greece area. In fact, we might just top them all! Not only to we prize expertise and experience in our plumbing staff, but we also require them to be polite and courteous, too. We know that your experience with a plumber in Greece NY is more than just whether or not they fix your problem. It’s also how you feel about the process all along the way. If you dread sewer repair, part of what you dread is probably the process of digging the trench. This is the large hole that plumbers used to have to dig to find out where your sewer was broken and then to fix it. Before more advanced technological diagnostics became available, plumbers simply had to start digging where the sewer connects to your house. They’d dig up anything and everything along the sewer line until they found the problem. Then, they’d have to repair and test. If more sewer problems presented themselves, they might have to keep digging until they found all of them! Needless to say, this process was obnoxious and difficult for the homeowner. They would have to have the water to their entire home shut off for the duration of the process, which could take days or even weeks. They’d also have to put up with all sorts of people inside and outside of their home, even taking days off work to make sure everything ran smoothly. Finally, they’d have to put their yards back together after the digging finished. This could include replacing grass, shrubbery, trees, flower beds, cement walkways, and even driveways. Fortunately, we don’t have to go through this process anymore. Now, we facilitate sewer repair from inside your home. We diagnose the problem by running a camera down your sewer line via the access point in your basement or utility area. Then, we perform the repairs via the same route. We can even replace extensive sections of pipe without digging up anything. Occasionally, the repair requires a small hole, but this is hardly noticeable, especially when compared to what sewer repair used to entail. If you suspect you need your sewer repaired in Greece NY, let us come show you what we can do to help you out. Before we do any work, we’ll do a thorough inspection and give you an estimate of what the work will cost and how long it will take. Then, we’ll complete the job as quickly as we can.